Oh she stole my heart with her adorable rolls, infectious smile and overall cuteness! Her session was the easiest & shortest session I had. She performed so well like she was born to model! I wanted to keep her, she is perfection! Special thanks to the amazingly talented vendors for these gorgeous outfits, headbands & props that Harlow wore during her session. Make sure to check them out. 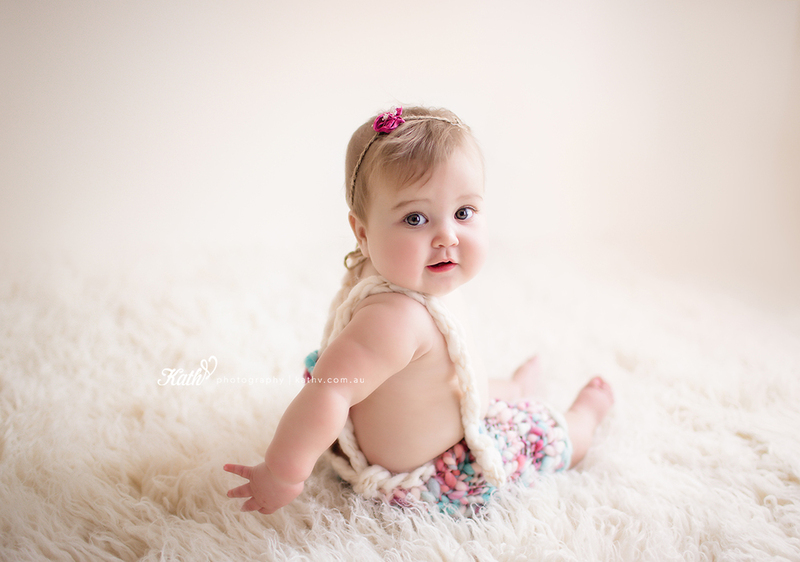 My Darling Emma, Knitz, Veronika G. Photography, Little Noggins, Love that Prop & So Cuddly Creations. Please click here for an insight into Kath V. Photography's baby sessions.